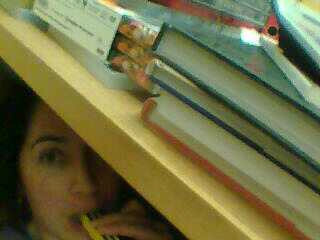 For the last couple weeks my Twitter profile pic has been me, under my desk, eating chocolate. I did it as a laugh. Then I did it again the other day (this time with an allsorts bar) for another laugh. 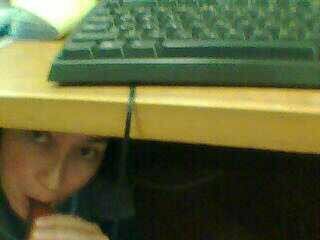 There’s something about hiding under a desk that is quite ridiculous. Down there, with the footstool, the cables, and the emergency supplies, it’s possible to see things in a different way. I’m a fan of the ‘reframe’ where I take a situation which is bad and/or stressing me out and reframe it so it’s not stressing me out anymore. The situation hasn’t changed but the way I view it has. Usually this is coming up with a Plan B. “If it happens like this then I will do that.” “If I can’t get there, then I will go here.” In fact, I probably post about this every year because this is one of my special skills. If you need something reframed, I’m your reframer. However, I also have a kryptonite and that’s reframing around money. Mainly the lack thereof and what that does to the neatness I like in my life. I’m working on it. It’s slow going. I’m pleased to have discovered that I am the type of person who will take a lower paying job because of ‘principles’. (Or whatever those things are that used to wake me up at 1.33am.) I’d just like to have the principles AND the money.